This step is a sober, highlighting the monumental images. Appears Jesus washing the feet of Peter and one side is John. 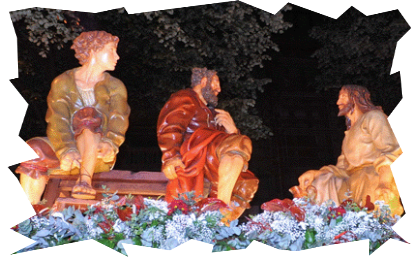 The decoration of the float is made of carved wood.